Does your business source cotton products from Turkey? Or maybe you have been buying clothes with ‘Made in Turkey’ tag? I have bad news for you: you may be inadvertently supporting a massive scale system of forced labour. You can be forgiven for not being aware of it, because Turkmenistan – which we’re talking about here – very rarely, if ever, hits the news headlines. But with over 300 million dollars’ worth of cotton and textile exported to Turkey every year, it uses Turkey as the main gateway for its cotton products to the global supply chains. Anti-Slavery International has released a new report bringing those the strong links between Turkey and Turkmenistan to light. Every year during the cotton harvest season, the Turkmen government sends thousands of citizens into the cotton fields against their will. Doctors, dentists, teachers, students and military personnel are some of the people who are forced to abandon their regular jobs in order to toil under hazardous conditions in the fields for days on end. This system of forced labour, a legacy of past soviet practices, is built on threat of punishment and intimidation. Workers refusing to pick cotton face the risk of having salary deductions, losing their jobs, or other punishment that is part of everyday life in this one of the world’s most repressive regimes. – A worker at the Maryagyzsuv water supply company sent to pick cotton during the harvest season, 2018. Cotton picking is an arduous work. Conditions in the fields are very poor and people have only limited access to fresh drinking water. Those workers assigned to remote areas have to stay overnight with no option but to stay in squalid and unsanitary conditions. – A worker at Dashoguz vegetable oil mill sent to pick cotton during the harvest season, 2018. Being the 11th largest cotton producer in the world, not only does the country hold an important position on the global market for raw cotton, but it also has significant cotton processing facilities covering the whole textile production cycle. Turkmenistan’s apparel and textile exports pose a significant risk of forced labour tainting global supply chains and present a challenge to brands’ due diligence. Turkey and Turkmenistan have special political, economic and business relationships, which leads to a higher presence of Turkmen cotton within Turkey. Through Turkey’s investment in Turkmenistan’s textile industry, Turkish suppliers are playing an important role in upholding forced labour practices. Once in Turkey, textile products containing Turkmen cotton find their way through global markets and end up being sold in high street shops across the world. Anti-Slavery has documented cases of Turkish enterprises that operate in Turkmenistan, some with huge production capacities. Calik Holding, for example, is a large Turkish holding company with activities in the garment and textile industry, which owns production plants located in Turkmenistan and claims to sell their products to well-known international brands. Due to the nature of the cotton production system in Turkmenistan, which is based around state-sponsored forced labour, we urge brands to stop sourcing cotton from Turkmenistan and to undertake the following steps. Stop sourcing cotton from Turkmenistan. 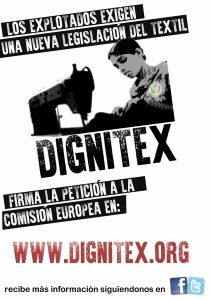 We invite brands to publicly oppose the use of Turkmen cotton in their supply chains, for example by signing the Turkmen Cotton Pledge, to demonstrate to the Turkmen government that human rights violations in cotton production are unacceptable. Raise awareness. Inform consumers about the labour abuses that might affect the products they wear and use every day. Engage Turkish suppliers. We don’t want brands to boycott Turkish companies, as it may inadvertently affect those that don’t source Turkmen cotton, and some might even not be aware of the issue. Instead, we want brands to collaborate with their Turkish suppliers and put the issue of Turkmen cotton on their agenda. Join in on putting pressure on the Government of Turkmenistan. We are calling on brands to use their power to get involved and to raise their concerns to the Turkmen government. Let the brands know that accepting the risks of forced labour practices – even if little known – in their supply chains is unacceptable. Let them know that you as their customer expect more from them to ensure that the products you buy are slavery free. The easiest way to do it is to send the below tweet asking a brand to sign up to the Turkmen Cotton Pledge and implement its commitments. Together, we can end Turkmen Cotton Crimes for good. Los procesos justos en la cadena de producción de textiles e indumentaria, cada día se matizan en diferentes voces y acciones que le apuestan a vender y a comprar prendas limpias, llenas de sonrisas, color y buenas historias. La ropa teñida de sangre, esclavitud, explotación infantil e indiferencia, es reemplazada cada vez más por productores y consumidores conscientes, que ven en el diseño una herramienta artística para compilar la creatividad y la esencia de un lugar en un solo hilo. El libro explica historia de Alta Gracia, una fábrica situada en la República Dominicana cuyos trabajadores cobran un salario digno, 200% superior al mínimo del país. Llega por fin con detalle la historia de Alta Gracia, la fábrica textil situada en la República Dominicana cuyos trabajadores reciben un salario digno, algo totalmente inusual en esta industria. When you wear People Tree, you look good and feel good knowing your unique garment was made with respect for people and the planet. People Tree is recognised by customers and the fashion industry as a pioneer in ethical and environmentally sustainable fashion. For over 25 years, People Tree has partnered with Fair Trade producers, garment workers, artisans and farmers in the developing world to produce ethical and eco fashion collections. Fair Trade is about creating a new way of doing business; creating access to markets and opportunities for people who live in the developing world. We make beautiful garments that are a living blueprint for our values: people and the planet are central to everything we do. Our garments are made with organic cotton and sustainable materials, using traditional skills that support rural communities. In the past, ethical, Fair Trade, organic and sustainable were not words people thought of as fashionable. People Tree has transformed ethical fashion into something contemporary, accessible, and desirable. We design and produce high quality, fashionable products for women and men as well as collaborating with leading designers to produce unique collections. 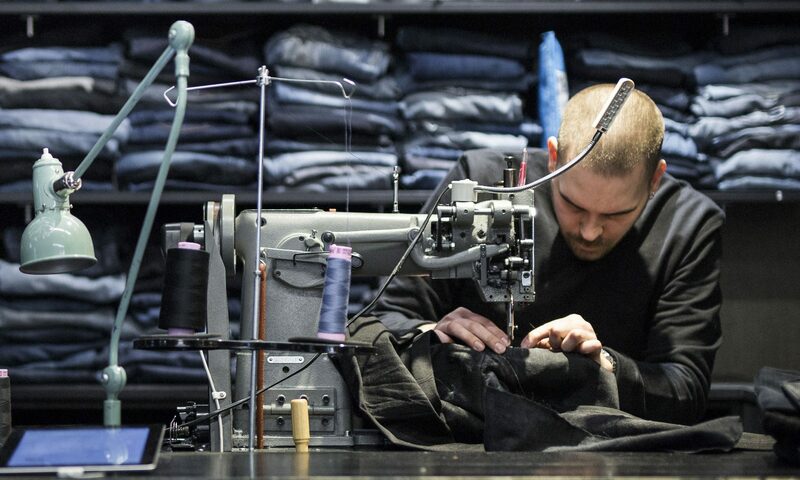 While many fashion brands talk about ‘corporate social responsibility’ or ‘ethical fashion’, we go further. We follow the principles of Fair Trade in every aspect of our business. All of our products are made by artisans and producers who work to Fair Trade standards. People Tree has been a pilot case for certification for Fair Trade Manufacture under the World Fair Trade Organisation and we were the world’s first clothing company to receive the World Fair Trade Organisation Fair Trade product mark in 2013. Fair Trade makes a powerful difference. People Tree is helping to alleviate poverty in the world’s most marginalised communities. People Tree developed the first integrated supply chain for organic cotton from farm to final product and we were the first organisation anywhere to achieve GOTS (Global Organic Textile Standard) certification on a supply chain entirely in the developing world. We also work hard to ensure that we pioneer sustainable methods of production to minimise environmental impact. Not only is the majority of our cotton certified organic and Fairtrade, all our clothes are dyed using safe and azo-free dyes. We source as many products as we can locally, choosing natural and recycled products over synthetic and non-biodegradable materials. We ship as many of our products as we can by sea, instead of air, and weave fabric by hand, reducing our impact on global warming.